Iron pallets under planting plates Tubus 300 | TUBUS Rýmařov, s.r.o. Iron pallets under planting plates for growing of forest plants serve for placing the planting plates during vegetation period, when the plants are grown in them, from sowing up to dispatch. Mass placing of planting plates on one pallet is advantageous especially from economical point of view, because the planting plates after sowing can be handled with using of fork lift, e.g. with using of means of mechanization. If the iron pallets are of smaller dimensions, also manual handling is possible. 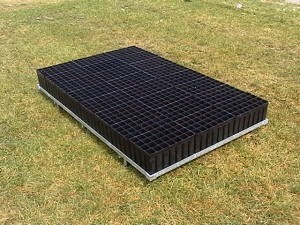 When the planting plates are spread on the pallet, even height of grown plants over ground (height of air cushion) is achieved, which is 12 cm, but can differ (on customer’s request), preferably to be 10-20 cm. This air layer prevents growing through of roots outside the planting plate. The iron pallets are stackable, so out of vegetation period, when the pallets are not used, they occupy only a little space. 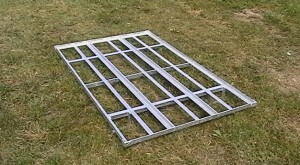 Whole pallet is surface-treated with zinc coating. Its service life is approximately 25-30 years. 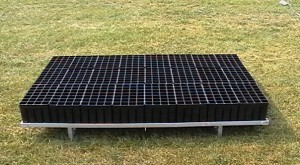 It is possible to position 24 planting plates on the pallet, each has 28 cells. So, it is possible to grow 672 plants on one pallet, when all cells are occupied, namely on the area of 1,87 m2. 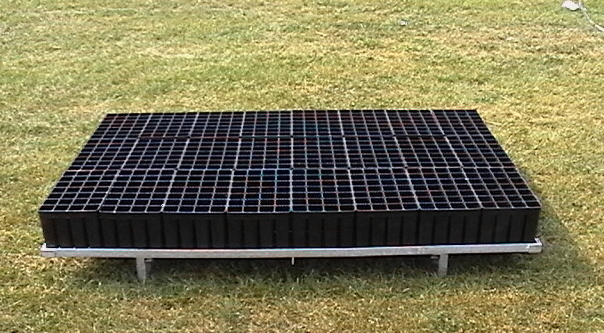 We manufacture also pallets of different dimensions for placing the planting plates with arbitrary dimensions and with the respect to utilization of area in respective silvicultural covering (plastic greenhouse, etc.). 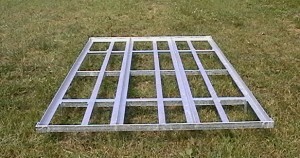 Also we produce universal pallets, with reinforced bottom with possibility to place any type of silvicultural container.